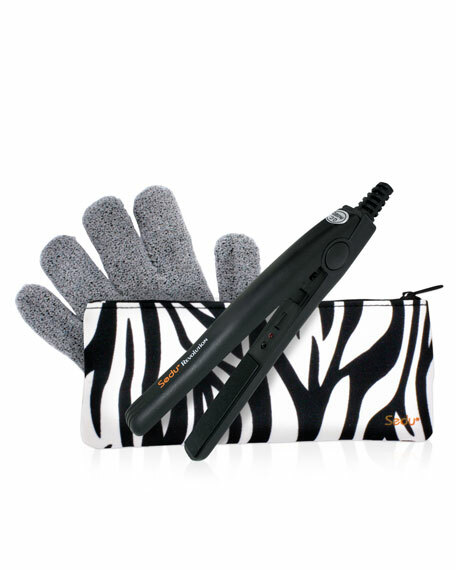 Sedu Mini Hair Straightener is ideal for short hair, touch up, and travel. This pocket-size, dual-voltage styler features tourmaline ionic plates with moisturizing ceramic heat to create healthy, manageable, and silky hair with luminous shine. Its convenient sizejust six inches longis ideal for office, gym, or whenever you feel the need to touch up and polish. Comes travel ready with built-in dual-voltage feature and bonus heatproof travel pouch and mitt.